Because our guests want to learn English for many reasons, we offer a great variety of courses. Choose to take English for exams, for personal development, or for your career. 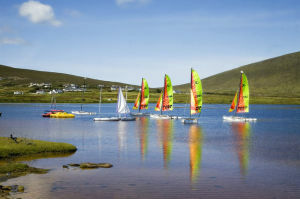 Combine your morning classes with a sporting or cultural activity and get to know the real Ireland and its people. Choose also whether to come alone and take one-to-one lessons or come with a friend. Some of our students even choose to forego lessons and simply learn English by living it. You know what works best for you, so first we listen and then we organise everything for you. Your level will be assessed beforehand in order to determine the best type of lessons for you. However, regardless of your level you are sure improve fast. Complete immersion is the best way to learn any language. 10 hours of one-to-one English lessons with your private teacher. These lessons cover all aspects of the English language: grammar, spelling, conversation, reading and writing. All lessons follow standard European framework for teaching English. 15 hours of one-to-one English lessons with your private teacher. These lessons cover all aspects of the English language: grammar, spelling, conversation, reading and writing. All lessons follow standard European framework for teaching English. 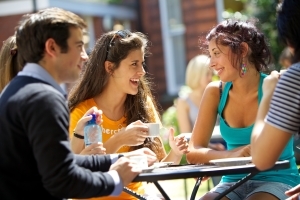 20 hours of one-to-one English lessons with your private teacher. These lessons cover all aspects of the English language: grammar, spelling, conversation, reading and writing. All lessons follow standard European framework for teaching English. 20 hours of individual exam-focused English lessons with your private teacher. These lessons are based on exercises found in Cambridge and IELTS exams, and our teachers are experienced and committed to getting you the best possible mark in your exam. 15 hours of one-to-one English lessons with your private teacher, teaching you English specifically for the business world. These lessons cover all aspects of the English language: grammar, spelling, conversation, reading and writing. All lessons follow standard European framework for teaching English. 20 hours of one-to-one English lessons with your private teacher, teaching you English specifically for the business world. These lessons cover all aspects of the English language: grammar, spelling, conversation, reading and writing. All lessons follow standard European framework for teaching English. 25 hours of one-to-one English lessons with your private teacher, teaching you English specifically for the business world. These lessons cover all aspects of the English language: grammar, spelling, conversation, reading and writing. All lessons follow standard European framework for teaching English. 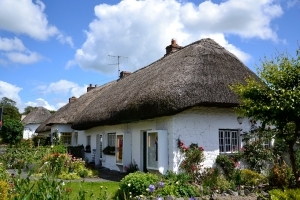 10 hours of one-to-one English lessons as well as 10 hours of activities on a genuine Irish farm. Your lessons cover all aspects of the English language and the farm activities give you a taste of Irish rural life. All lessons follow standard European framework for teaching English. 10 hours of one-to-one English lessons with your private teacher plus golf through English. Your lessons cover all aspects of the English language and your English-speaking golf outings will be organised for you. All lessons follow standard European framework for teaching English. 10 hours of one-to-one English lessons with your private teacher plus tennis through English. Your lessons cover all aspects of the English language and your English-speaking tennis outings will be organised for you. All lessons follow standard European framework for teaching English. 10 hours of one-to-one English lessons with your private teacher plus horseriding through English. 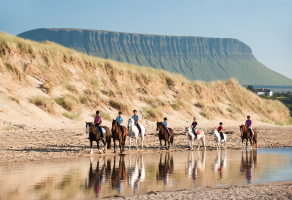 Your lessons cover all aspects of the English language and your English-speaking horseriding outings will be organised for you. All lessons follow standard European framework for teaching English. 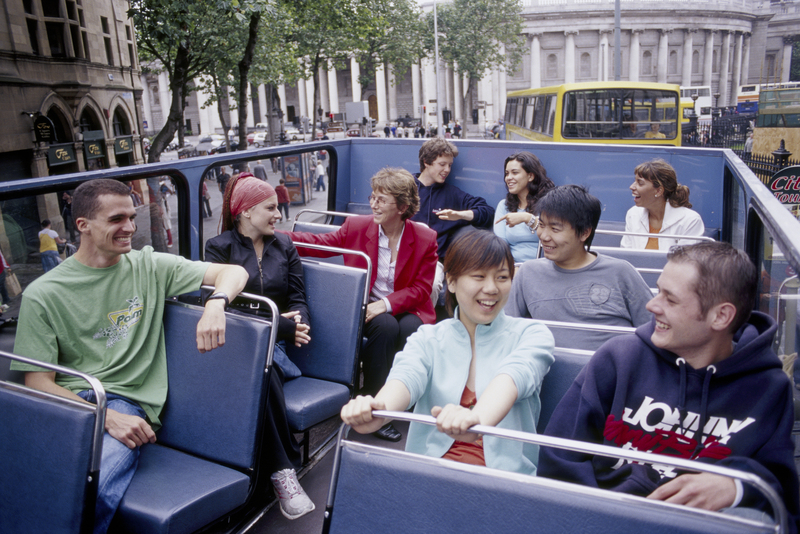 10 hours of one-to-one English lessons with your private teacher plus an English speaking cultural tour of Dublin City. Your lessons cover all aspects of the English language and the cultural tour will give you an insight into Irish history. All lessons follow standard European framework for teaching English. 10 hours of one-to-one English lessons with your private teacher plus traditional Irish music and/or dance. Your lessons cover all aspects of the English language and the traditional music and dance classes will be organised for you. All lessons follow standard European framework for teaching English. As part of our philosophy at IrelandSchool we treat every client as an individual and we realise that each individual has different tastes. You may wish to do an activity that we have not explicitly mentioned or to have more hours of lessons per week. That’s why we offer you the opportunity to request a personalised course.